If you need financing for your Rite Aid drugstore, contact us today! Call 1-800-595-1474 to talk to a Rite Aid financing specialist today! Rite Aid financing is one of Ocean Pacific Capital's specialties. 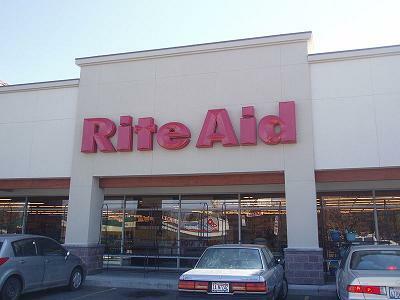 Rite Aid is a Fortune 500 company, the 3rd largest pharmacy/drugstore chain and largest on the east coast. Ocean Pacific Capital has specialized in financing Rite Aid, and other single tenant, NNN lease retail properties and drugstore/pharmacy anchored retail centers since 1977. In recent years, Rite Aid financing has been somewhat difficult; however, we are still actively seeking Rite Aid financing opportunities unlike many banks and traditional sources. Our direct access to the most aggressive lending sources in the nation, combined with our years of experience in the commercial finance business has resulted in a streamlined process that allows our clients to obtain the most competetive Rite Aid financing rates with the most efficient closing time frames. Whether you are seeking Rite Aid financing for purchases, construction or refinancing, we can help. Non-Recourse financing is available. For more information on our Rite Aid financing programs please email us or call us at 800-595-1474 today.